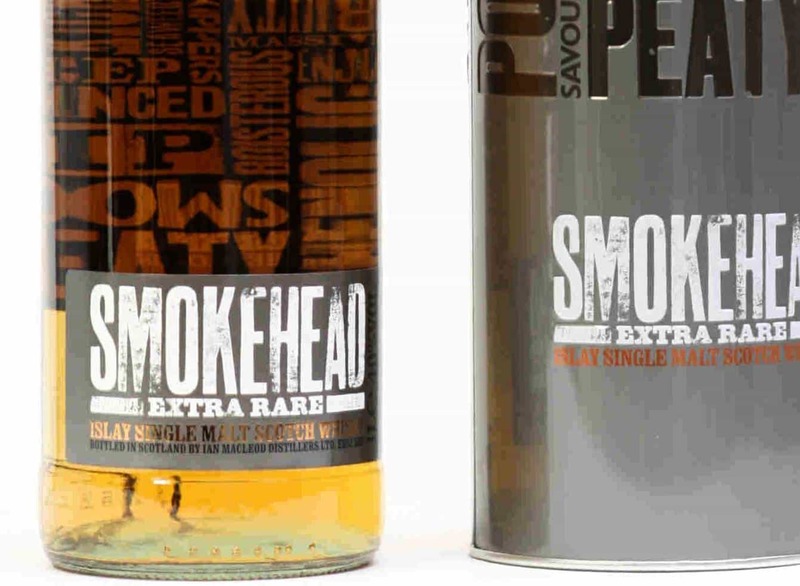 I can find very little information about the Smokehead Extra Rare other than the press material, which excites me – because there are not many bottles of the Smokehead Extra Rare about (it’s travel retail only). Here is a fine Islay Single Malt whisky and, though the bottler is Ian MacLeod, few know the distillery that provided the liquid. 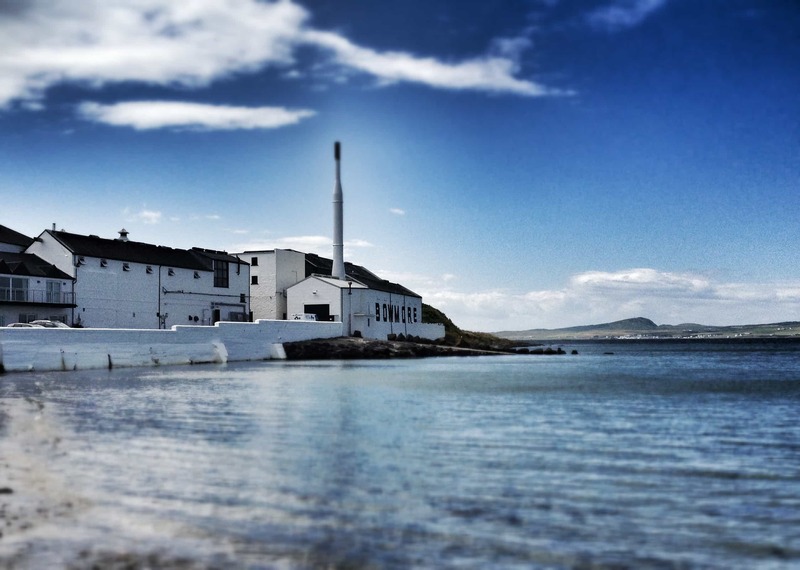 Speculation suggests Ardbeg or Lagavulin, but since there are only a handful of distilleries on Islay, someone is bound to guess correctly. I love the sheer amount of speculation, too; it seems remarkably important for Islay fans (including myself) to know its origins. That’s part of the fun. 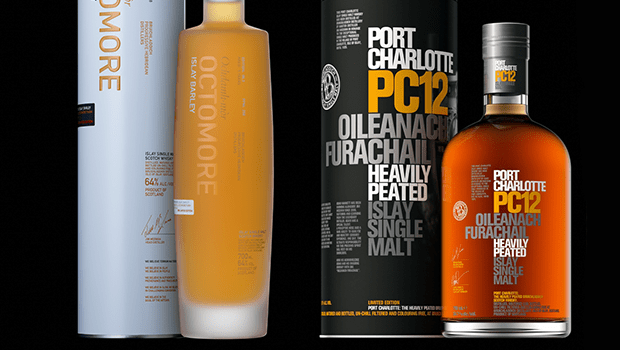 And let’s talk about the label design, too, because this is quite unusual; trendy, contemporary, stylish, these are not terms one might normally apply to whisky labels. Yet here we have something funky indeed – grungy typography and a wonderful use of the tasting notes. This whisky longs to be treated differently. On the nose: this has an astounding aroma, one of the most complex I’ve come across. Sure the smoke is there, though not quite as powerful as promised; tar, leather, a hint of some kind of baked dessert, melting butter, a splash of jam. It’s such a surprise. Revisiting that smoke, it is delicate and aromatic, not as deep and coal-like as the Ardbeg 10, but still potent. The initial taste: boom, there’s the smoke. A heavy wall of it just washes over you. This is simple stuff at first: strong malted barely, salt water and a coastal tang. There’s a delicate texture – nothing too oily, nothing too heavy. The mouth waters. That wall of smoke was quick to pass by. On a second taste comes the iodine – that medicinal quality. Then a distant note of sherry, slightly peppery perhaps. Afterwards, you’re left with that warm coastal tang once again, and the thought that Single Malt whisky really is one of life’s great pleasures. Add a little water, which I don’t usually like to do, and the power of the smoke is utterly reduced; instead, we have more brine and also a waft of sherry (surprising, given the colour, when neat, seems too pale to have matured in a sherry cask). Smokehead Extra Rare is only available through travel retail, which means it can only be bought by leaving the country (my girlfriend bought me this one on a recent work trip, bless her). If you don’t want to do that, then you could always check out its smaller brother, the standard Smokehead.